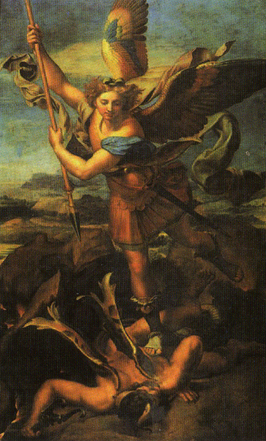 O God, the Father of our Lord Jesus Christ, we call upon Thy holy Name, and as supplicants, we implore Thy clemency, that by the intercession of Mary, ever Virgin Immaculate and our Mother, and of the glorious St. Michael the Archangel, Thou wouldst deign to help us against Satan and all the other unclean spirits who wander about the world for the injury of the human race and the ruin of souls. I would like to encourage you to say the above prayer before venturing off into the digital horizon in search of answers and a place to worship as a "faithful" Traditional Catholic. The "web", at times, is just that ... an insidious spider's web waiting for the unsuspecting to become entangled / snared so as to be fed upon.